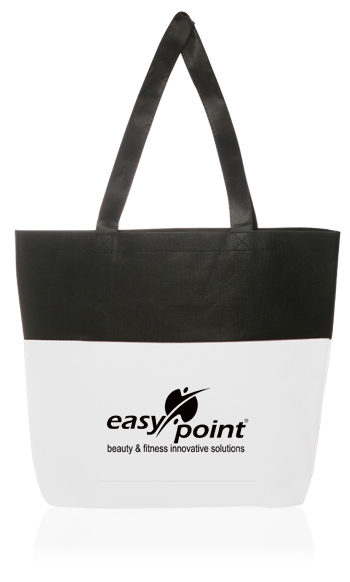 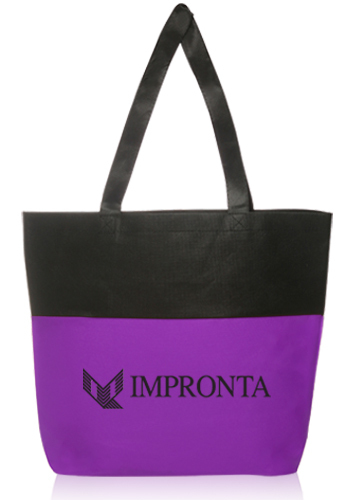 Customizable reusable tote bags are an environment-friendly way to spread your brand’s message. 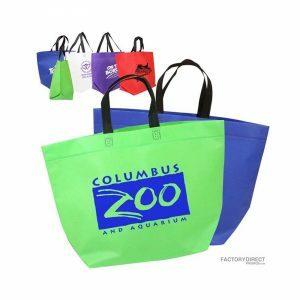 Imprint your company’s logo on our eco-friendly promotional totes and when your customer’s carry this high-quality and versatile bag they will get your name and message out there. 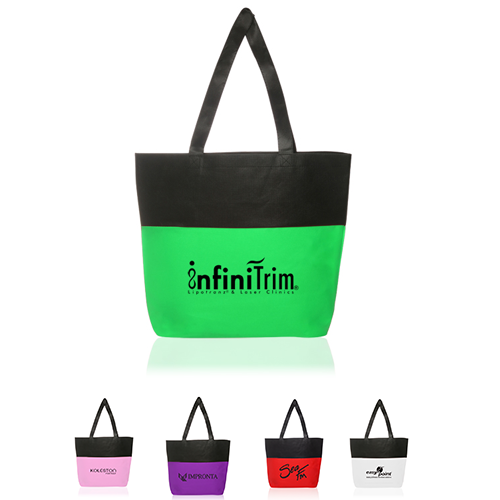 You can select the bag and imprint color or feel free to check out our overseas pricing to create a completely custom tote bag. 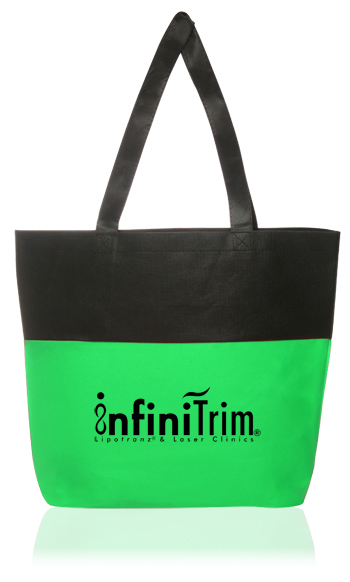 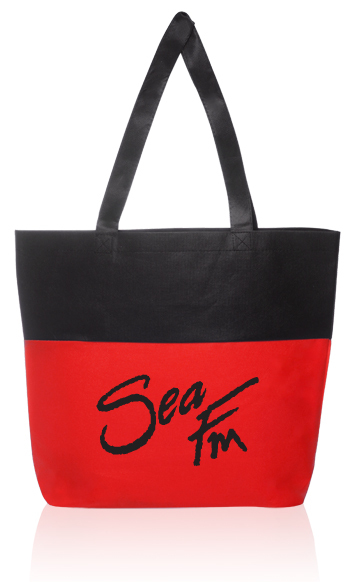 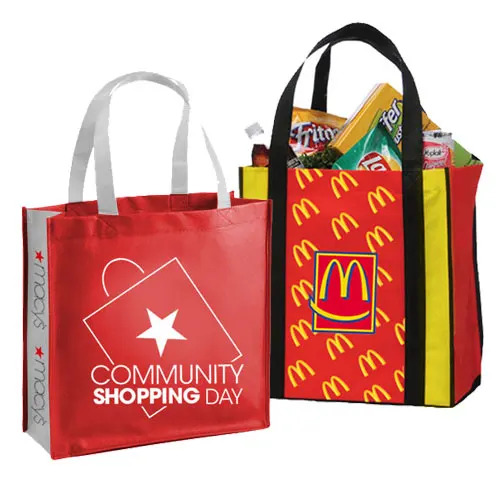 This tote is constructed from polypropylene which is made from recycled plastic bottles, thus eliminating the amount of waste that ends up in landfills and the bag itself can be recycled, making it a environmentally sound promotional item.Let us help you design your custom reusable tote bags.